Camping? On your own? 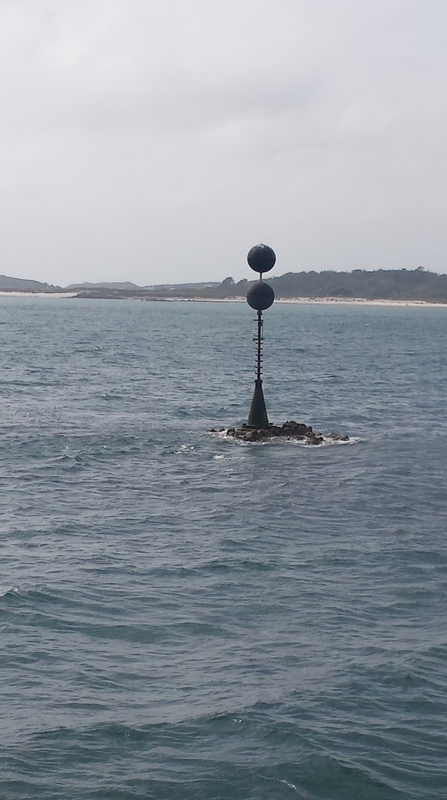 Don’t be Scilly! Last week; I was becoming increasingly frustrated with being at home, waiting for a berth on a ship. I was on various websites, looking at solo Holidays; itching to get away from The Wirral. I had a trip to Bratislava ready to book, then a trip to Tbilisi, in Georgia. I couldn’t bring myself to book them, in case I got the call to go on ship. After getting the green light from my shipping company, I decided to visit the Isles of Scilly, due to my ardent interest in Archipelagos. I was apprehensive about going away on my own, but the yearning to get away from it all outweighed the uncertainty of travelling on my own. A friend in Penzance kindly offered me a place to stay either side of my ferry trips to the Isles; and a girl from my class at Nautical College is a ‘Scillonian’ – and was on hand to offer advice during my stay on the island and so it was booked. . . .
I’d bought Aldous Huxley’s ‘Brave New World’ and ‘Island’ from Amazon before I left, and I had cunningly decided to take ‘Island’ along to read with me. it turns out that I’d packed ‘Brave New World’ by mistake; a terrible start. The south coast train from Exeter to Penzance is a more aesthetically pleasing route, than from Liverpool to Birmingham. I spent much of journey not reading my book. I was mostly enjoying the beautiful scenery which was on show. I adore Cornwall, and have had a soft spot for it since visiting Perranporth as a child. I arrived in the evening, and my friend was still working, so I had to keep myself entertained for a few hours. The first thing I did was find a Subway (something I always try to do, where ever I go, although some occasions have proved to be more hopeless, like the time I attempted to find one in Rizhao, in China) – I went around a couple of pubs, and noticed that they seem to drink a lot of shandy here. “I could amend my ways, and become a shandy drinker”- I proclaimed to myself. An early start and a trundle through the streets of Penzance, with a hearty breakfast inside me, any traces of the previous evenings ‘shandy’ soon began to dissipate. She’s a flat-bottomed vessel, very similar to the Royal Iris Mersey ferry; so when she’s out in open seas, she pitches, rolls, and yaws like anything! It’s like a corkscrew motion- much different to being on a bulk carrier I have to say! I’m really stopping myself here from talking about metacentric heights, and stability principles. Quite a few people were seasick; but thankfully I wasn’t. I mean you’d expect a sailor to not get sick on a ferry, wouldn’t you? As soon as I got off the boat; I couldn’t stop smiling. The decision to get on a train for 8 hours; with a suitcase filled with camping gear and clothes was instantly justified. It was almost upsettingly beautiful. Waking up on the first morning on Scilly was fantastic. It was the first time that I was able to truly appreciate being on holiday alone. There was no “Where are we going?” or “What are we doing?” I went walking around St Mary’s Garrison, which is a massive fortification system which has been fending off our European enemies since the 1500’s. I spotted quite a few bird watchers, and ramblers. They’re a funny breed aren’t they? Very prepared, I have to say! They were probably thinking the same about me though minus the ‘prepared’. On Saturday evening, I was left to my own devices, as my friend on the Island was working. Her uncles band was playing on another Island – St Martin’s, so I opted to take a boat trip over in the evening and visited the Seven Stones Inn, which I’d heard had just reopened. I boarded the boat, and within seconds, I was approached by my friends Mother, who introduced herself. I ended up going to the pub with her and her husband, who were really friendly, and knowledgeable about the Isles. My visit to St Martin’s was short. I was there for 3 hours, and only really seen the inside of the pub. 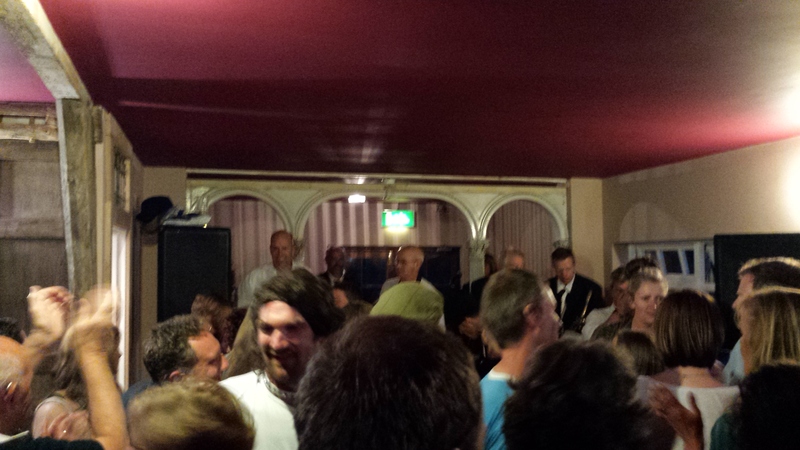 I quite enjoyed the band as well, they were a ‘blues brothers’ type group, with a brass section. The overly critical music nazi in me approved. Heading back to St Mary’s- I was supposed to meet up with my friend, who was really eager to take me to this “disco” – she’d be raving about it all week! I got back, and she wasn’t answering her phone! Turns out she got home from work, and fell asleep, leaving me to go it alone! I couldn’t just go to the disco alone, could I? I could. I wasn’t in there long, before I got talking with some people- who turned out to be working on the island doing the tarmac. Scousers are like rats; no matter where you go on earth; you’re always likely to bump into one. If any Scousers are reading this; I am just making an analogy up based on the fact that rodents are everywhere; so just don’t get too upset by it, okay? I never get tired of defending my Wirral heritage . I always highlight that I’m not a scouser; by saying ‘coke’ the Wirral way..and the Liverpudlian way. There really is no point sometimes, because to any one outside of Merseyside, I sound like a full blown scouser. When I’m away with work, I actually don’t bother telling people I’m from the Wirral- I just say Liverpool to make things easier; and each time a part of me dies- and more parts die, when they say “Steven Gerrard”, “Liverpool FC” “The Beatles” – although one stevedore I met in Egypt told me he used to work UK waters, and he loved Birkenhead! I think he may have been referring to the brass houses though! The disco was like any other disco. Crap, shite music, and super dry T shirts galore. On the last night, I was invited to my friends for dinner, so I had an early night; and an early start for my last day on Scilly. The tent was packed up, and sent to the boat; and I had the day to myself. I decided to go over to St Agnes with my friend. It’s a small Island, with a pub called the Turks Head, a few cafes, and an ice cream factory (although I didn’t see it) – I had a walk around the island; again, there was quite a lot of North Face clad walkers/bird stalkers, and I noticed some tents which looked like they were kind of long term installations; and I became instantly envious! We went back to the Turks Head for some lunch; and waited for the boat back to St Marys. Islands are fascinating places to visit; depending on how ‘in depth’ you’re willing to go- from an Anthropological point of view; I find it really interesting how isolation from the mainland can effect the behaviour of a population, You’ve obviously got subtle differences in how people develop socially due to their environments; but the first ‘Scillonians’ I met (other than the girl from my class), and the rest that I encountered I found to just be really welcoming, laid back and friendly-almost hubristic about their beautiful little slithers of land that they call their home. Scilly is definitely a place I’d like to live. The Flora and Fauna have their own little spins as well; Scilly is too close for phenomenons such as ‘Island Gigantism’ or ‘Island Dwarfism’ – and historically was connected to the mainland, not that long ago in the grand scheme of things. I’m no expert, but there’s certainly a tropical feel to the island- the Palm Trees thrive – where as the one’s you see on the Mainland often struggle. There’s a fair few species of plants I seen which I’d associate with the Med, rather than the UK- and I also seen a Scilly shrew! 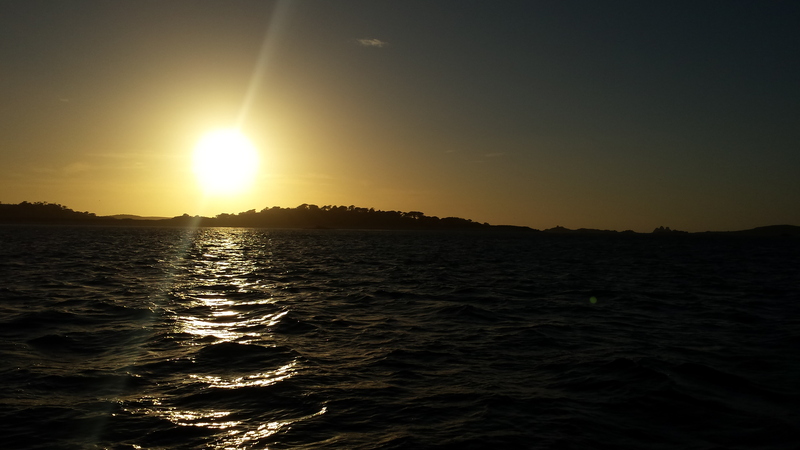 Scilly is paradise, and it’s right on our doorstep! My only regret is that I didn’t stay longer. I fell for the atmosphere, and the surroundings in a big way! I think when I become an officer in the Merchant Navy; and I get my first yacht, the Isles of Scilly will be the first destination I head to. My first solo camping trip, I’d say was a resounding success. Now it’s back to cycling, and waiting for a ship! The world cup is starting tomorrow, so the media will be doing all it can to get the nation ‘involved’ – by that I mean spending money. It’s time to revert back to the little modern day Holden Caulfield that I am. The opening quotation in this blog is by Maya Angelou by the way. The first book I read from sleeve to sleeve was “I know why the caged bird sings” – I was upset when I’d heard she’d passed away. A truly remarkable, influential and talented woman. Aside | This entry was posted in Merchant Navy, Moaning and tagged Holidaying alone, Isles of scilly, maya angelou, merchant navy, penzance, Scilly, seven stones inn, Solo Camping, St Agnes, St Martins, St Marys. Bookmark the permalink.